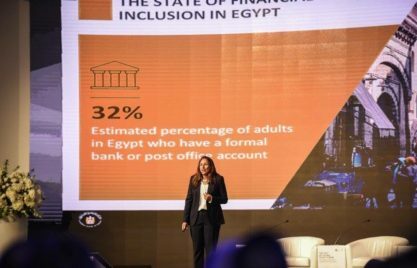 The 9th Global Policy Forum was a milestone in the rapidly evolving financial inclusion landscape of not only Egypt but also the entire MENA Region it provided an excellent opportunity for the key stakeholders in Egypt to narrate Egypt’s story in financial inclusion. 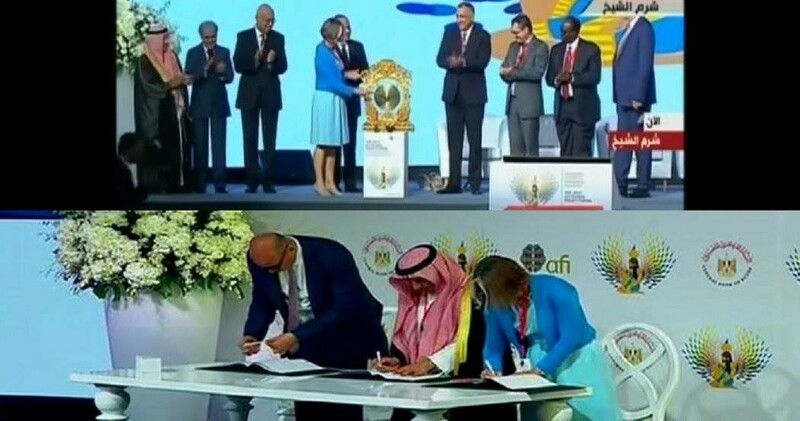 The Central Bank of Egypt (CBE) co-hosted the 9th Global Policy Forum of the Alliance for Financial Inclusion (AFI), which was held in Sharm El Sheikh during the period from September 13- 15, 2017. 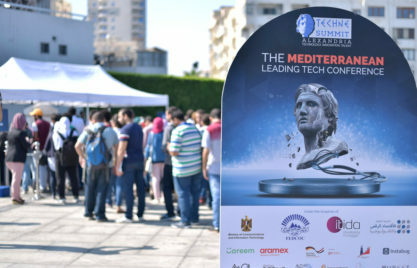 The Forum, which was attended by over 700 international delegates in addition to some 150 national delegates, was a milestone in the rapidly evolving financial inclusion landscape of not only Egypt but also the entire MENA Region. The Forum, among other things, provided an excellent opportunity for the key stakeholders in Egypt, led by the CBE, to narrate Egypt’s story in financial inclusion in front of the global audience consisting mostly of their peers who shared a common interest in advancing financial inclusion for the benefit of the unserved and under-served poor and low income households and micro, small and medium enterprises (MSMEs). In her presentation May Abulnaga, the Sub-Governor of CBE, emphasised the high level political commitment for the cause of financial inclusion in the country. Financial inclusion has moved to the top of the development policy agenda and gained a great deal of traction. What was remarkable in the Egypt journey presentation was the linkage of the financial inclusion objectives with the crucial need to improve the quality of the lives of the financially excluded. In the same context, it was stressed that financial inclusion should “not only improve lives but also become part of an engine of economic growth and sustainable development”. This was a striking argument as it is universally recognized that “financial inclusion is a means to an end” and that “end” is the improvement of the welfare of the financially excluded in a sustainable manner. Linking financial inclusion with sustainable development resonates well with the emerging thinking on the subject. CBE’s approach to financial inclusion was highlighted in the journey. The CBE has been supporting the creation of an enabling policy and regulatory environment that allows for greater financial inclusion, especially of women and youth whose exclusion rate is disproportionately high. CBE has assumed a leadership role in advancing financial inclusion in Egypt in a consultative manner with the key stakeholders such as the Egyptian Financial Supervisory Authority (EFSA) and the Egypt Post. The importance of effective coordination to maximize the potential positive impact was stressed. Created an enabling regulatory framework for microfinance based on a microfinance law that was adopted in 2014. Provided incentives for banks to increase their loan portfolio to MSMEs. Introduced measures to make credit affordable to potential clients in the target markets. Developed financial infrastructure including a credit bureau and a registry for moveable assets. Issued a new set of electronic banking regulations that spurs innovations in digital financial services. These efforts covered not only potential clients but also service providers. Concerted effort to improve financial education, literacy and capabilities through establishing a Steering Committee led by the Egyptian Banking Institute to develop a national strategy for financial literacy. Capitalizing on successful programs to increase the level of financial inclusion among women such as the Village Savings and Loans Association (VSLA) scheme, which began implementation in 2014 in 3 governorates benefiting over 18,000 clients (92% women and 8% men), enabling them to organize themselves into the informal savings and credit groups. Established baseline data on financial inclusion to inform policymaking and financial product development as well as to measure progress. The journey presentation was followed by a panel discussion, with different perspectives of the diverse group of panellists, which shed further light on the salient characteristics of the Egypt’s journey. The panellists concurred with the notion that financial education and literacy is one of the biggest challenges in bringing some 44 million adults in the informal economy into the formal financial system. The Minister of Social Solidarity, Mrs Ghada Wali, was overly optimistic: “We can do it; we can do it easily”. To support this reassuring view, she pointed out that in just two years 1.75 million women were reached by the conditional cash transfers through adoption of technology. 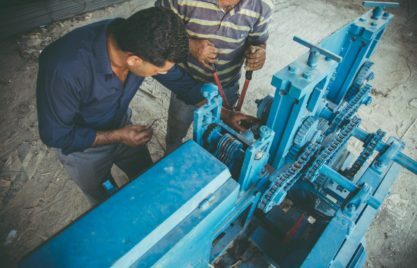 The microfinance sector has also been performing well, though still beset with some challenges: 2.2 million borrowers are on the books and it will have to reach some 10 million clients within next five to six years as cited by the Chair of the Egyptian Microfinance Federation. CBE has extended a number of incentives to banks to provide wholesale funds to Microfinance Institutions (MFIs) to increase their lending operations. Moving from 2.2 million to 10 million would be enabled mostly by the application of mobile technology for the operations of MFIs and their clients. Banks including those in the private sector are responding positively to the CBE and EFSA initiative. Despite what may even be described as “dazzling progress” amidst a range of difficulties, the entire session made it abundantly clear that Egypt cannot be complacent. The country has come a long way and is now at cross-roads: First, Egypt has to take cognizance of the unfinished agenda. Second, Egypt has to make a decision on whether it wants to develop a national financial inclusion strategy as has been done by many AFI member institution countries including some in the MENA region. Third, Egypt may have to find ways to link financial inclusion in a more effective manner with key sustainable development goals that matter most to the country. In this task concerted efforts must be made to build on the positive factors such as very low gender gap in mobile phone ownership. Fourth, the policymakers may be able to accelerate overall financial inclusion level of the country if policies geared to advancement of women’s financial inclusion is further strengthened through measures such as increasing labour force participation rates of women. Fifth, the policymakers have to deliberate and come to a clear understanding on how the Financial Inclusion for Arab Region Initiative (FIARI), launched at the Forum can be used to reinforce Egypt’s financial inclusion efforts in more effective ways and on a larger scale. Sixth, much more emphasis than at present is clearly needed to ensure that financial inclusion would produce desired transformative impact on the target population in a sustainable manner within a reasonable period. There are many other key decisions such as those relating to resource allocation for financial inclusion that the policymakers need to make in the very short-run. If the actions in the recent past may be used as guidance, we can be optimistic that the policymakers led by the CBE will make these vital decisions in time to sustain the momentum created by the measures that are already in motion and producing positive results.